What does Rabbit Productions do? Make your event or party an extremely fun and memorable one! PBJ provides the Live Band Performances for Rabbit Productions click HERE to learn more about the band! 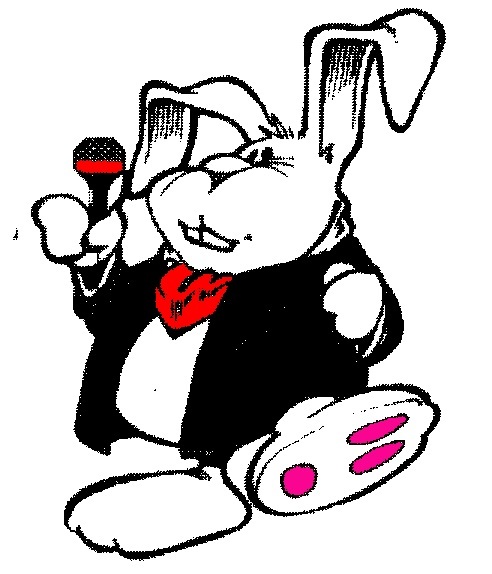 Rabbit Productions uses the latest digital Karaoke systems and boast a library of over 10,000 songs for you to choose from. Click HERE to learn more about RP Karaoke! Rabbit Productions has facilitated hundreds of events over the years. Using all digital equipment to ensure the best sound and the most fun!! RP DJ's have experience with wedding receptions, birthday parties, holiday parties, corporate events and much more! Click HERE to learn more about RP DJ's! Rabbit Productions is all about having a good time! Whether you need a live band, mobile DJ, Karaoke, or are looking to organize a golf outing... Rabbit Productions can help you ensure your event is a fun and entertaining one. With over 20 years in the Denver Metro area entertainment industy, we can make sure you have a great time!